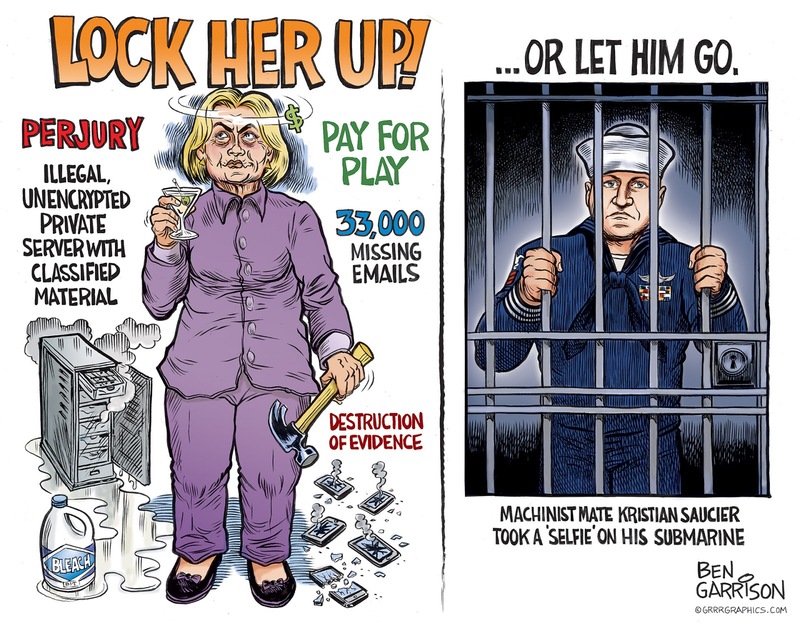 Rogue Cartoonist: LOCK HER UP! I somehow forgot to post this one, so here it is. We've been getting some hate mail from progressives over my depiction of Hillary. That's good! Hillary is an arch criminal who continues to elude justice, whereas they throw the book at people such as Kristian Saucier, whose transgression pales by comparison.